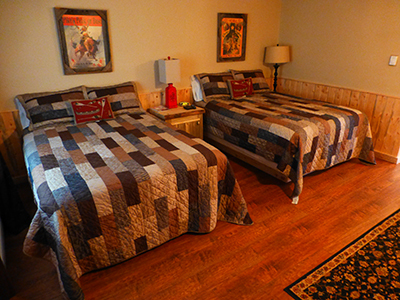 Wolf Creek Ranch Ski Lodge offers eight motel rooms. We have a small convenience store to pick up last minute items. 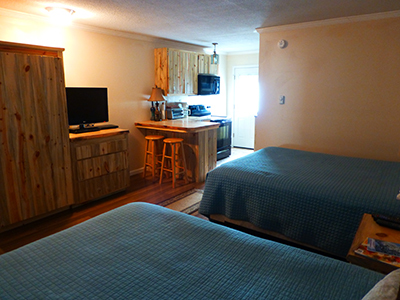 Our rooms are newly remodeled with full kitchens. 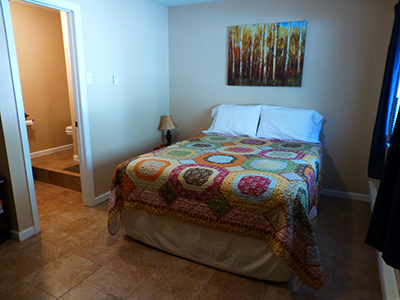 Room 1 is a remodeled room. 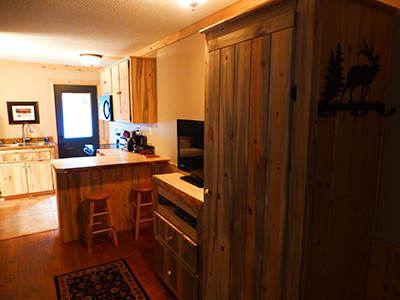 It has one queen bed and a kitchenette with an undercounter refrigerator, coffee maker, toaster oven and a microwave . It has a walk-in shower and a small bistro table. Room 2 is now fully remodeled. It has a king size bed, full kitchen, and walk-in shower. 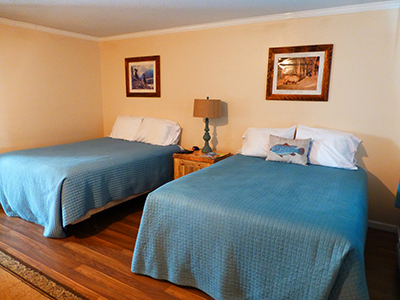 The remaining rooms are two queens with full kitchens as pictured below. Rooms 5 & 6 pictured below. These rooms come with walk-in showers in the bathroom. 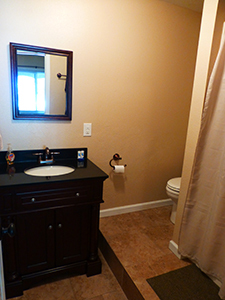 Room 7 is newly remodeled with a full kitchen and a tub / shower combo bath. 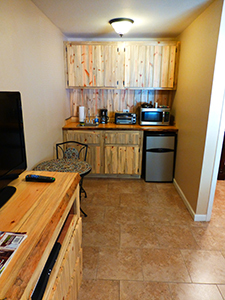 Each unit is stocked with dishes, silverware, pots and pans, microwaves, coffee makers, toaster ovens and slowcookers. The motel also features a back deck with rocking chairs and propane grills.